Here’s everything you need to know on Nexus requirements for disease/injuries. Even though this is laid out for HCV claims, the same tenets apply to all diseases except PTSD. VA has now made it law that only VA-approved doctors can do the bent brain nexus. This appears to be an attempt to eliminate the disease by making it impossible to attain. It figures. Nevertheless, no one can prevent you from submitting your own shrink’s take on your mental state. Once its in the records, they surely can’t ignore it or pretend you didn’t submit it. It’s also possible that they will overrule this new regulation so it would pay to have it in the file for a future appeal. Please also read this if you choose to utilize a jetgun defense for Hepatitis C.
And now, as of July 13, 2017, via the miracle of Utube, you can add a video of how they “really” administered injections via jetguns. Click on the link, skip the advertisement and move forward to 4:26 and get some killer screen shots of no alcohol wipe, no prep, just raw skin again and again. I guarantee you’re gonna like this one, fellers. As Nurse Silvia points out: No filters on return air to ampule, either. No gloves, no face mask, no wiping the gun between shots. Ba-ges? We don’t need no stinkin’ ba-ges. The best part was it’s published and filmed by the United States Army so it has to legitimate. I am trying to claim sleep apnea based on my broken nose (Deviated Septum). For the last couple of years I have been denied even with a Nexus letter from the doctor. 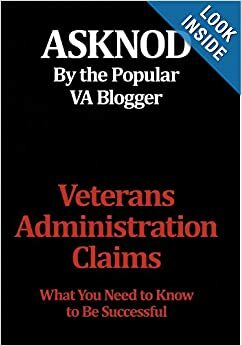 My VA representative says that the VA thinks that my nose is healed even though I have it in my military records as having a deviated Septum. So now they want me to get the nexus letter to not focus on the broken nose but the deviated septum. Seems like a run around. I need a better Nexus example for the doctor to sign concerning his examination.What do you think? You need an atty. to get you a good nexus letter that will win. VA will never give you one. Does anyone have a nexus letter i can leverage to get the right information? You should hire asknod@gmail. He is the hardest working, results oriented law dog I know. I got mine by taking a sleep study that my doctor recommend I take. Sent the results to the VBA and they ok’d it. I hope the best for you. Welcome home. (253) 313-5377 Hire this guy Vaughn Camper. Vaughn, Search this site and you’ll eventually run into a nexus letter in one of my blogs…if you search and read them. Here’s one that has a good nexus letter /IMO example of what is needed to win. https://asknod.org/2018/03/22/bva-two-american-kids-growing-up-in-the-heartland/. Scroll down to Medders BVA intro of new evidence redacted. There’s a lot to be learned here. It represents 11 years of fighting the VA and how to do it. In this day and age, everyone seems to want the quick fix and have it instantly regurgitated onto a copy and paste format. VA law is far more complicated as are each and every Veteran’s claim(s). Thank You for providing me a view of the document. I see what you mean by having some with a law background to write the nexus letter. I did have a sleep study and got the doctor to sign a nexus letter stating the standard information for someone with a deviated septum. I would like to share that with you and let you see how far off I am. That was a lot of detail. I’m really confused about this hepatitis thing. I’m a Vietnam vet. Retired in 1990. Filed first VA claim in March 2010 (8 items, 3 were service connected). Hepatitis was one item that was denied. I didn’t know which flavor; A, B, or C I had. The symptoms came on me the same time I got back to the US during late Nov/early Dec 1972. Diagnosed as Hep A in early 1973 (January). Based on what I’ve read on your blog, how could it have been Hep A like the VA has stated? Any way you could look at my rating decision and determine if the VA screwed up? I haven’t had any symptoms since but I’d still like to know if I have a possible case. Thanks for any advice/assistance you can render. contact me at asknod@gmail.com and scan/attach the rating decision. I’m an Officer of the Court now so you do not have to redact the SSN. Relax. I have plenty of condos in Puerto Vallarta and don’t need any more. Will do thanks again and I will touch bases with you in Sept.
HAA means Hepatitis Australia Antigens test. If it was weakly positive, you had acute viral hep or HBV. That might indicate you had Hepatitis B. I have also heard doctors state some patients had the same thing (positive HAA) with a HCV diagnosis later on when they could test for it after 1992. If you had Hepatitis A (HAV), the HAA test would never be positive. More importantly, they now have a specific test that can spot the presence of HAV in your blood if you ever had it. Once you get HAV, your body develops a cure for it and leaves the antibodies in your blood forever. You can never get HAV again. Most develop the same antibodies and resistance to HBV as well. The mere presence of a HAA positive test means HBV but not HAV. One of our HCVets, Malcolm Melancon, had a positive HAA test in 1990 and lost his claim. Later, in 2001, he was diagnosed with HCV but the HAA test came back negative. In other words, he never had HBV-ever. Alex, Help me with this. I had a serology test which showed HB Ag negative and negative antibody to hep A and positive antibody hep C. Can you tell me what this means. This was done 1995 by gastroenterologist. Thanx Ray Can you represent vets for VA claims yet? If so I would like to hire you. Alex, the HAA test is what blood banks use to test blood donations for hep B. Depending what test they used it may be a FALSE POSITIVE. One thing modern science is good for is knowing what you’ve ever had in your life. If you have had HAV, you develop an antibody to it. Same for HBV. A simple blood test will show what you have had in the past. The Australian Antigens test was the defining test in 1970 or so to show the difference. If the test was positive, you had HBV. If it was negative, you had HAV. HCV often traveled with HBV because they are both blood-borne diseases. HAV comes from contaminated food via the oral route (meaning you ate it). Viral hep was HBV. Infectious Hep was HAV. Thank you again…so now if I get evidence for my hep-c I mail it to janes ville? Or to the lawyers? Always to the law dogs. They are driving your claim boat. 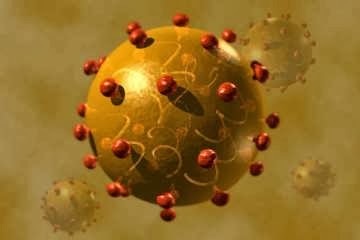 Hep A-or infectious Hep. lasted about 5-10 days. Hep B (viral) lasted about 6 weeks and wiped you out. If you were in the boonies, they didn’t have the Australian Antigens test to figure it out. They just kept you hospitalized until your eyes weren’t yellow anymore. I was hospitalized for 5 weeks ….rash yellow stool white ab pain vomit can this be hep-a? No sir. That was undoubtedly Hep B. HAV would only put you down for a week or 10 days. cool….They (VA) made an appointment for me to see a private shrink here in wenatchee. Will they give me the prognosis on paper …can I get it from them? Well, not exactly as they say a dollar a day rentacar. VA ordered it so it will be a VA-purchased nexus. It could be done by the QTC outfit VA uses a lot. As such, it’s slightly better than one from the Medical Lake shrinks. If they deny you, it still pays to have a backup plan before you go to the BVA. The bent brain nexus can only be done by VA doctors or Private doc.? Correct. But that doesn’t prevent you from getting your own and submitting it as evidence. Just make sure to get your Service records to show him/her. What I meant was a private doctors word will override the VA doctors word ? No, but a private doctor’s word can never be ignored. By having a private mental nexus letter, VA will always have to deal with it. Often it can help to win when they see you have additional ammo. Absolutely Brilliant work, Asknod…! God bless you brother for helping so many of us Vets…! Having spent 26 years chasing my claims, I finally decided to teach others the fine points. Thank you and I hope I pass the audition. How can I get a copy of this book! I bought your book. In fact both the Kindle version and the hard copy. I have also had some advice from you about my claim. (I kind of hope you saved some of the letters I sent to you. )I have a doctors appointment this Thursday with a new back specialist and a BVA visiting judge hering on the 14 th of October. I intend to try and get the previous doctors nexus letters substantiated by this new back doctor. I am going to ask him to concur with the other two doctors that wrote letters but again, did not use the correct phraseology. I decided to switch doctors because of the comments the Ph assistant made about the professor of spine surgery who did not use the correct phraseology in his nexus letter and was severely talked down on by the comp examiner. In his review. ( Isent you a copy) of the comp exam c file copy and the doctors letter. I need a back pertinent nexus letter. I can’t seem to take your hepatitis letter apart to apply to the back. Can you help? Before this Thursday so I can ask and maybe get it signed. Also if you still have any of my attachments or need any I can oblige if you do I would like any advice on what to put emphasis on at the hearing which is all about Service connection. Historically everyone should know about the honesty of the Department of Veterans Affairs. As a agency before VRJA of 1979? Back during the 1920s, or so the first VA Administrator Mr. (Col.) Charles R. Forbes was prosecuted and sent to Fort Leavenworth for a little over two years prison time for VA Fraud. Source Wiki. He is also buried at Arlington while not to take away from his WWI military service.This is why some choose to leave via the back door at the end of the day to their private parking spot under armed guard and insulate themselves from email, letters and telephone calls.